So, I wanted my first post to be a formal introduction to Penelope, whom will make up a good chunk of the subject matter of this blog. Here she is last June (2014) when she was put on ECMO shortly after being born. 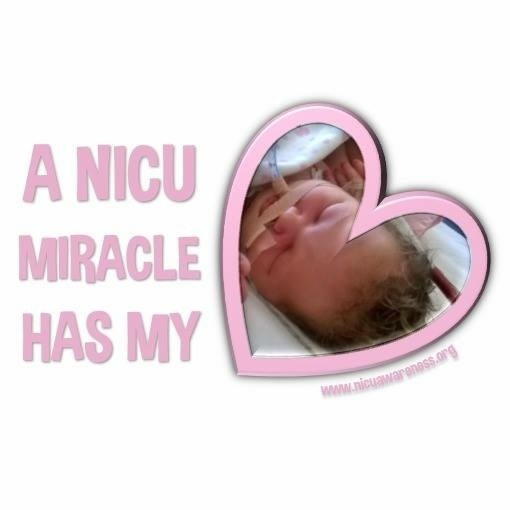 In brief, as I will be writing a much more detailed post on this at a later date, she had the life-saving, ‘last resort’ treatment due to severe meconium aspiration and persistent pulmonary hypertension. This basically means that she pooped before being born (meconium is a baby’s first poo) and inhaled it causing her much distress. Although, mild meconium aspiration is common, severe meconium aspiration is extremely dangerous and can be life threatening, as was the case here. There are other treatments that will be tried before the idea of ECMO is visited. Penelope quickly exhausted all these options at our local NICU. ECMO is essentially a lung bypass, deoxygenated blood is taken from the heart (via a tube in the neck) where it is oxygenated externally from the body and returned via a second tube. Although extraordinary to behold, it is also without a doubt one of the most terrifying things I have ever witnessed. It takes over the lungs job so they can have a break while the meconium was cleared out. It is such a rare thing for a baby to need. Estimated roughly 50 babies in the UK each year will need it. Only a handful of places in the UK do this, Penelope had to go to Leicester. Quite a trek for us. Amazing little Penelope. Wonderful name.